This is my first experience joining JTB Sunrise Tours. Overall, the tour was quite satisfying. The tour guide Hero is very professional and very informative. The bus was very clean with comfy seats. The weather was cool and sunny, just the perfect weather to visit Mt. Fuji and Hakone. However, we only reached Station 3 of Mt. Fuji due to snowfall the previous day. Lunch was satisfying enough. The Hakone cruise and cable car ride were done in a rush due to shortage of time. We experienced heavy traffic on our way to Fuji as well as on our return ride to Tokyo. Initially, I wanted to cancel this tour and changed it to another more relaxing tour. My only complain is KLOOK’s unresponsiveness on my request of tour cancellation 11 days prior to the tour date. I made a total of 11 follow-up requests but never got a single reply. Could it possibly be system error on the KLOOK app?Maybe KLOOK should at least email me for a little explanation. 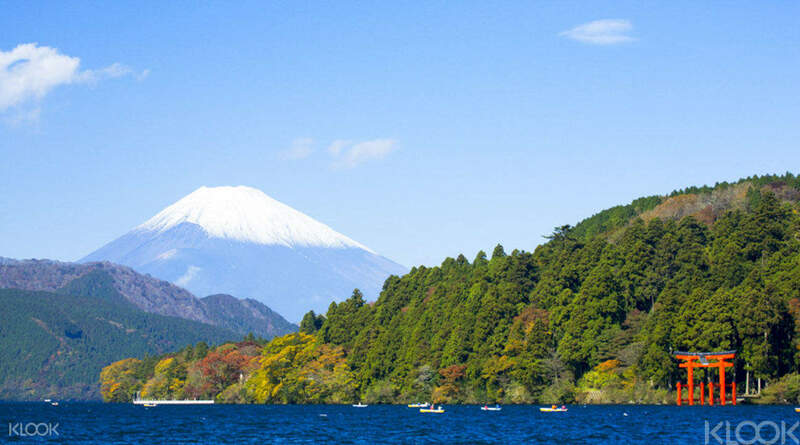 Trek over the mountains of Hakone and cruise through the cool water of Lake Ashi. Enjoy the breathtaking view of Mt. Fuji on the 50 minute Mt. 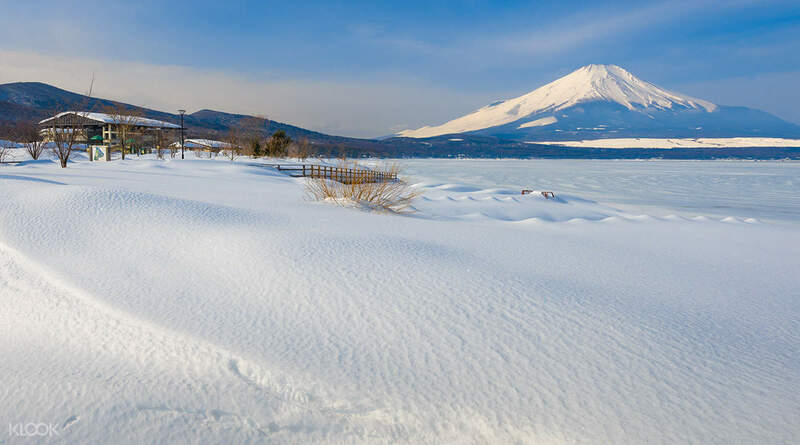 Komagatake Ropeway journey and take in the wonder of Japan's famous mountain at an elevation of 2,300 meters on Mt. Fuji's 5th Station. This full day tour grants travelers the chance to witness the elegance of Japan's natural beauty. The energetic tour guides, authentic Japanese lunch and comfortable transportation (with free WiFi!) create the flawless recipe for a memorable adventure. Don't forget to bring a bottle of water to hydrate during the long day! Difficult to find the pick up point. the tour was quite a rush here and there but generally we do enjoy ourselves. the guide lady was very responsible and nice. we only managed to went up to 4th station but was good enough to see Mount Fuji. the ropeway was quite a squeeze to fit in everybody into the cabin. and it was foggy to see anything. wasted. we enjoy the boat cruise though just that it was freezing cold. Personally, think 2 days would be a better option as travelling takes up too much time. 2 hours up and 2 hours down back to ginza. Difficult to find the pick up point. the tour was quite a rush here and there but generally we do enjoy ourselves. the guide lady was very responsible and nice. we only managed to went up to 4th station but was good enough to see Mount Fuji. the ropeway was quite a squeeze to fit in everybody into the cabin. and it was foggy to see anything. wasted. we enjoy the boat cruise though just that it was freezing cold. Personally, think 2 days would be a better option as travelling takes up too much time. 2 hours up and 2 hours down back to ginza. it was fun! we have the opportunity to catch the snow last March 30. my family and I enjoyed the ropeway. food is good. Mr. Shin our tour guide is very nice and and informative, shared about the places and culture in japan. though the schedule is tight. there are traffic going to 4th station as there are to many tourists. Mt. Fuji can be seen, though there are no opportunity to go down to the bus and take the picture of it. it was fun! we have the opportunity to catch the snow last March 30. my family and I enjoyed the ropeway. food is good. Mr. Shin our tour guide is very nice and and informative, shared about the places and culture in japan. though the schedule is tight. there are traffic going to 4th station as there are to many tourists. Mt. Fuji can be seen, though there are no opportunity to go down to the bus and take the picture of it. We had the best luck in the world when we get to see Mt Fuji on the way to Hakone, Lake Ashi and even at the Komagatake Ropeway. Our English-speaking tour guide, Akiko, ensured we enjoy the trip all throughout and even provided us the fastest route back to our hotels. We had the best luck in the world when we get to see Mt Fuji on the way to Hakone, Lake Ashi and even at the Komagatake Ropeway. Our English-speaking tour guide, Akiko, ensured we enjoy the trip all throughout and even provided us the fastest route back to our hotels. Even the schedule can be a little packed but it was a good experience travelled to Mt Fuji, Laki Ashi and Ropeway via this particular ground tour with klook. Lunch provided was yummy and there wasn’t any communication barrier as the tour guide speaks decent English. Even the schedule can be a little packed but it was a good experience travelled to Mt Fuji, Laki Ashi and Ropeway via this particular ground tour with klook. Lunch provided was yummy and there wasn’t any communication barrier as the tour guide speaks decent English. The tour guide, Shin is friendly and knowledgeable on Mount Fuji and he speak quite good English so as to easily understand him. This tour is wonderful where we can view the beautiful mt Fuji and take the 15mins cruise at Hakone-en. The Japanese lunch is also quite tasty. Overall, highly recommended for first timer to visit mt Fuji. The tour guide, Shin is friendly and knowledgeable on Mount Fuji and he speak quite good English so as to easily understand him. 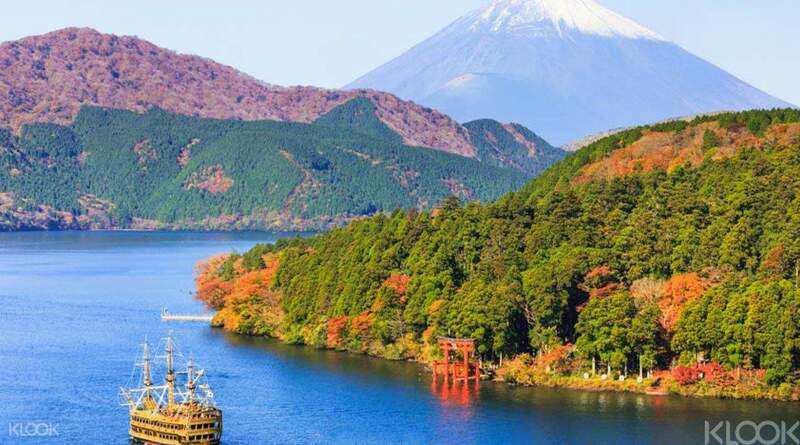 This tour is wonderful where we can view the beautiful mt Fuji and take the 15mins cruise at Hakone-en. The Japanese lunch is also quite tasty. Overall, highly recommended for first timer to visit mt Fuji. This trip was a wonderful experience and well organised. The staff and your guide were very friendly as well. Here is a breakdown of the trip: 1- Getting on the coach was very easy. We had someone waiting for us at the meeting point who gave our booked seats and explained how the trip was going to happen. 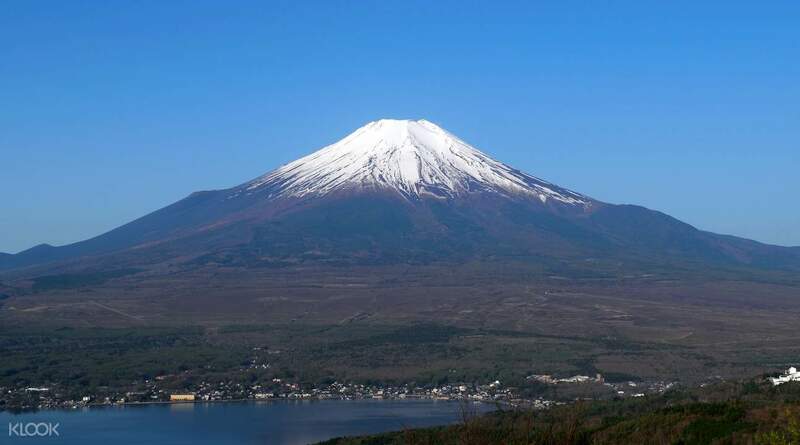 2- Going to Mount Fuji: Seeing it from afar was breathtaking but arriving on to the foot of the mountain was met with slight congestion due to many tourists and tour buses queueing for the parking. We managed to take a few photos. It was a bit cold but should be okay with wearing 3 layers of clothes if you don't have a jacket. 3- We were then taken to a hidden Ninja Village where they provided very tasty buffet lunch that accommodated everyone's dietary needs - halal options were provided as well! 4- Lake Ashi boat ride: This was a 15 minutes boat ride, which passes very quickly so make sure to take lots of photos! It was very windy for us as it was end of March season, so bring a jacket! 5- Hakone Shrine: we spent around an hour here or so, and it was worth going up to the top via cable car! so not a lot of hiking if you were worried. Beautiful top view ! 6- We chose to be dropped off at Odawara station so that we could catch the Shinkansen using JR Pass to go back to Tokyo (30 minutes). This trip was a wonderful experience and well organised. The staff and your guide were very friendly as well. Here is a breakdown of the trip: 1- Getting on the coach was very easy. We had someone waiting for us at the meeting point who gave our booked seats and explained how the trip was going to happen. 2- Going to Mount Fuji: Seeing it from afar was breathtaking but arriving on to the foot of the mountain was met with slight congestion due to many tourists and tour buses queueing for the parking. We managed to take a few photos. It was a bit cold but should be okay with wearing 3 layers of clothes if you don't have a jacket. 3- We were then taken to a hidden Ninja Village where they provided very tasty buffet lunch that accommodated everyone's dietary needs - halal options were provided as well! 4- Lake Ashi boat ride: This was a 15 minutes boat ride, which passes very quickly so make sure to take lots of photos! It was very windy for us as it was end of March season, so bring a jacket! 5- Hakone Shrine: we spent around an hour here or so, and it was worth going up to the top via cable car! so not a lot of hiking if you were worried. Beautiful top view ! 6- We chose to be dropped off at Odawara station so that we could catch the Shinkansen using JR Pass to go back to Tokyo (30 minutes). Though I felt that we weren’t given enough time at certain stations (e.g 5th Station and Mt. Komagatake), I felt that this tour was amazing. More over the fact that our guide, Ms Akiko was efficient and very informational, providing great and informative answers to our questions. Apparently there was a huge accident in the highway home and Ms Akiko wasn’t sure about how long it’d take for us to get back to Tokyo but so she suggested that we all take the Shinkansen back to Tokyo. From when we were still at Odawara right up to Tokyo, she made sure to ensure that we knew what to do and knew the way back right up to our hotels. Really kudos to her effort and her work as a competent guide. We were very lucky to be able to see Mount Fuji bright and clear with no blockage at all, I guess waiting it out at least a week before the tour to check on the weather was a good choice. Would recommend to others, but just be sure to check out the weather before booking or you’ll probably end up with a bad view of Fuji. Though I felt that we weren’t given enough time at certain stations (e.g 5th Station and Mt. Komagatake), I felt that this tour was amazing. More over the fact that our guide, Ms Akiko was efficient and very informational, providing great and informative answers to our questions. Apparently there was a huge accident in the highway home and Ms Akiko wasn’t sure about how long it’d take for us to get back to Tokyo but so she suggested that we all take the Shinkansen back to Tokyo. From when we were still at Odawara right up to Tokyo, she made sure to ensure that we knew what to do and knew the way back right up to our hotels. Really kudos to her effort and her work as a competent guide. We were very lucky to be able to see Mount Fuji bright and clear with no blockage at all, I guess waiting it out at least a week before the tour to check on the weather was a good choice. Would recommend to others, but just be sure to check out the weather before booking or you’ll probably end up with a bad view of Fuji. The entire trip was absolutely amazing, thanks for the sunny day that it allows us to explore Mt.Fuji and Hakone. I love our tour guide Toko, very bubbly and pretty. The Japanese style food that was served was delicious. The entire trip was absolutely amazing, thanks for the sunny day that it allows us to explore Mt.Fuji and Hakone. I love our tour guide Toko, very bubbly and pretty. The Japanese style food that was served was delicious.